Picture a city of modern architecture and towering skyscrapers, infused tropical green forestry, intermingled with traditional Asian culture and authentic temples and you will get an impression of what holidays in Singapore can offer. Drawing influences from Chinese, Indian & Malaysian heritage, Singapore is a melting pot of cultural diversity, and as a major player in business and banking, Singapore city is a towering modern metropolis, regarded as one of the cleanest cities on Earth. A fact you’d do well to remember on a holiday in Singapore, as littering is strictly prohibited and can lead to a hefty fine! Like many big cities, Singapore has a thriving shopping scene. 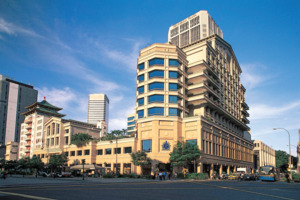 From the stylish boutiques on Orchard Road to the larger than life shopping centres, a bargain can be found. 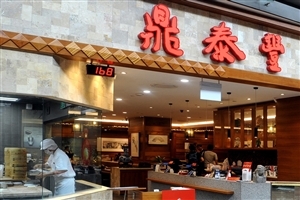 Dining in Singapore is also a multi-cultural affair. With stylish modern restaurants and street vendors offering authentic Chinese, Indian and Malay dishes you’ll have plenty to choose from. Singapore also has a vast array of recreational facilities for holidaymakers. From the beaches of Sentosa Island to watersports, rock climbing, zoos and botanical gardens, there are plenty of opportunities to relax and see the sights or be as active as you like. With such a range of things to see and do, you’ll need accommodation that is equally luxurious and well equipped. 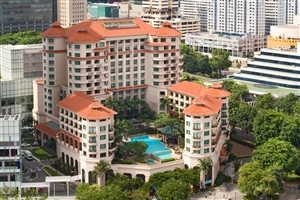 At Travelbag.co.uk, we have a fantastic selection of Singapore hotels, from luxury hotels to cheap accommodations, in popular areas such as Clarke Quay and Marina Bay. Choose from hotels including the Park Hotel Clarke Quay, Traders Hotel, Marina Mandarin and Marina Bay Sands. Book hotels in Singapore with Travelbag.co.uk and find exclusive prices and great savings on your 2019 Singapore holiday. 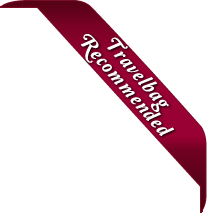 At Travelbag.co.uk, we have over 30 years of experience in booking hotels in Singapore and holidays across Asia and in that time our team of experts have gathered extensive knowledge on all the best Singapore hotels, multi centre holidays, Singapore tours and activities to ensure you have a holiday to remember. We also have a range of Singapore flights with great deals available from the UK. Here is just a selection of our favourite and cheapest hotels in Singapore. Please use our search panel above to find your perfect choice. 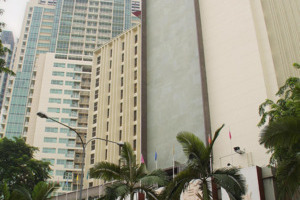 Strategically located in the heart of Singapore’s most exclusive district, Hotel Royal at Newton is ideal for those seeking easy access to the popular shopping and entertainment hub of Orchard Road. Hotel Royal at Newton comprises of spacious, sophisticated guestrooms, while guests can also take advantage of the generous facilities ... on offer, including an elegant restaurant and 24-hour coffee house, a gymnasium and a swimming pool. Situated between the cultural region of Chinatown and bustling Orchard Road shopping district, the Furama RiverFront Singapore brings together some of the most comfortable and stylish commodities together with scenic views and easy access to surrounding highlights to ensure traveller satisfaction through and through. Surrounded by verdant foliage and emerald ... forestry, the hotel with its 615 plush-filled accommodations is ideal for those seeking something visual, while the numerous in-house eateries and facilities make for great accompaniments to what is sure to be a memorable time spent in Singapore. Located in downtown Singapore overlooking the river, Miramar Hotel is ideally positioned for guests visiting the city for a holiday or on business. The contemporary guestrooms combine style, comfort and generous amenities, while facilities available at Miramar Hotel include an outdoor swimming pool, three restaurants and a gymnasium. 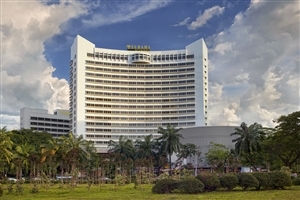 Miramar Hotel ... is well placed for guests to browse the shops of Orchard Road, as well as provide easy access to Marina Bay and Sentosa Resorts. 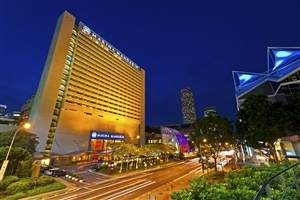 The fabulous Park Hotel Clarke Quay is the newest member of the Park Hotel group and is located within close proximity of Singapore's vibrant entertainment and dining areas, making it ideal for a Singapore holiday. 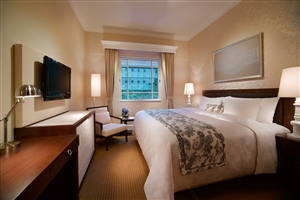 The luxurious Park Hotel Clarke Quay is inspired by the old world charm of Singapore's ... colonial past, as represented by the classic hints of its ornate architecture, while the hotel's lush landscape serves as a blissful tropical retreat in the centre of an otherwise modern city. Set in the heart of Singapore’s popular ethnic district, Little India, PARKROYAL on Kitchener Road is a charming base from which to explore this marvellous metropolis. 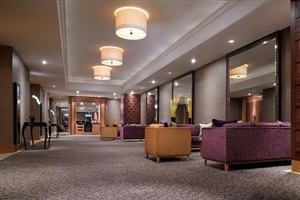 Perfect for leisure and business travellers, with central location and proximity to the nearest MRT station, PARKROYAL on Kitchener Road harbours much appeal with ... its 534 well-appointed, stylish accommodation. Facilities include a swimming pool, spa and gymnasium, while guests can also choose between four dining options. Set on the edge of Orchard Road, one of Singapore’s foremost commercial and entertainment districts, the Millennium Orchard Hotel is a luxury boutique hotel for the discerning traveller. The ideal base for those looking to discover the magic of this marvellous metropolis, the Orchard Hotel stands apart with its stylish ... and contemporary accommodation, including unique guestrooms designed by Pierre Yves Rochon, while guests also have the opportunity to upgrade to the Signature Club. 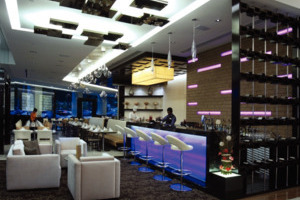 Facilities at Orchard Hotel include a swimming pool, gymnasium and business services, plus five restaurants and bars. Settled amongst the cultural and visual highlights of Singapore’s Arts & Heritage District, the Rendezvous Hotel Singapore sets a high standard when it comes to holidays with style. Incorporating key elements from its magnificent surroundings, the hotel looks to impress guests not only with its high levels of service and ... comfort, but with its unique aesthetics that look to inspire. If you’re looking to delve deep into the cultural heart of Singapore, look no further than the elegantly designed art piece that is the Rendezvous Hotel Singapore. A stunning modern hotel located on Singapore’s trendy Orchard Road, Grand Park Orchard will appeal to those seeking a trendy and chic Singapore holiday base. Distinguished by its herringbone-design glass façade and ‘media wall’, Grand Park Orchard complements its striking exterior design with lavishly-appointed guestrooms and suites, and excellent facilities, ... including a comprehensive restaurant, a rooftop swimming pool and the Spa Park Asia. 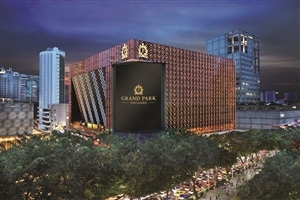 Grand Park Orchard is ideally located on Orchard Road, one of Singapore’s premier shopping districts. 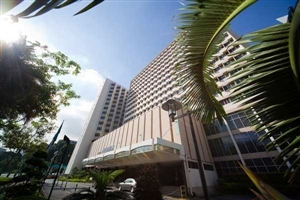 A modern hotel located in the Orchard Spring area of Singapore and only a short stroll to the renowned shopping and entertainment district of Orchard Road, the Hotel Jen Tanglin Singapore perfectly satisfies those visiting Singapore on holiday or on business. With its elegant guestrooms and suites, generous facilities – ... including a free-form swimming pool on the rooftop – and an impressive selection of culinary options, Hotel Jen Tanglin Singapore is an accomplished, award-winning choice for a Singapore holiday. An elegant and historic building located in the vibrant civic district of Singapore, Grand Park City Hall is an award-winning resort that prides itself on opulence and luxury. Superbly positioned for guests to take advantage of Singapore’s excellent retail opportunities and business locations, all guestrooms and suites at Grand Park ... City Hall offer a high standard of quality and comfort. 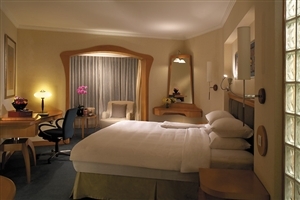 Located at the heart of Marina Bay, the popular Marina Mandarin is ideal for a Singapore holiday. Marina Mandarin enjoys spectacular views across the Singapore River and is just a short walk away from Boat and Clarke Quay for some of the city's best dining and entertainment venues. The ... contemporary guestrooms offer panoramic views of either the picturesque Marina Bay or the city skyline and recreational facilities include an outdoor pool overlooking the city and state of the art fitness centre. Located on the pretty offshore island of Sentosa, Shangri-La’s Rasa Sentosa Resort & Spa has the honour of being the only beachfront resort in Singapore. Wake up to unique views of the South China Sea and walk golden sands of Siloso Beach in a location only 15 minutes from the ... vibrant, cosmopolitan city centre of Singapore. A fabulous family-friendly resort, Shangri-La’s Rasa Sentosa Resort & Spa is ideally positioned for guests of all ages to appreciate the fun facilities available at the resort, including cycling, swimming and even flying trapeze lessons! The grand Shangri-La Hotel represents the ideal Singapore holiday destination, providing an oasis of calm in an otherwise vibrant, bustling city. Enjoy the best of both worlds at Shangri-La Hotel as you admire the 15 acres of lush greenery and tranquil ponds in a location just a short walk from ... Singapore’s foremost entertainment, shopping and business districts. Excellent facilities at Shangri-La Hotel include the CHI Spa, seven bars and restaurants, and lavishly appointed guestrooms and suites. Settled deep in the heart of Sentosa, located opposite Imbiah Station on the Sentosa Express Monorail, a warm welcome awaits you at the Le Méridien Singapore, Sentosa, a serene sanctuary, perfect for relaxing amidst lush tropical surroundings while providing convenient access to the island’s major attractions like Universal Studios Singapore, ... Kidzania Singapore, and Singapore’s downtown areas. Explore adrenalin sports, theme parks, nature discoveries, local culture, or just an enjoyable break from a hectic lifestyle as you spend each day at this exciting holiday haven. Le Méridien Singapore, Sentosa, overlooking the iconic Merlion, is the ideal place to unlock this compelling destination. The hotel offers a truly unique experience in every one of the 191 stylish guest rooms and suites decorated in a colonial or contemporary style. Retreat to a comfortable space in one of the Japanese-inspired suites, with hot tub set in a tranquil outdoor sanctuary, while the Penthouse Suites offer private rooftop swimming pools. All rooms and suites are a minimum of 30 square metres and feature LCD flat screen TV, multi-media system, wireless High-Speed Internet Access, and premium cable TV channels. A separate deep-soaking tub invites relaxation and is complemented by Le Méridien bath and shower amenities. Our signature Le Méridien bed with crisp linens will offer a transformative night’s rest. Be inspired and energized by all that Sentosa Island has to offer. Considered one of the most prestigious addresses in Singapore, the opulent St. Regis Singapore hotel offers only the highest standards of service, luxury and style. A landmark of the Singapore skyline, the St. Regis Singapore comprises of lavishly-appointed guestrooms and elegant signature suites, showcasing the finest in furnishings and quality, ... while each comes with St. Regis’ renowned 24hr butler service. 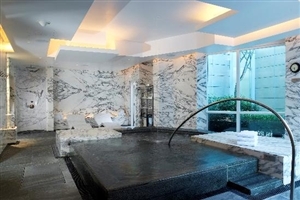 Facilities at St. Regis Singapore include five exceptional restaurants and bars, the Remede Spa, the Tropical Spa pool and fitness facilities. Designed by renowned architects Foster + Partners, Capella Singapore is an enchanting resort and spa on the offshore island of Sentosa. Seamlessly blending traditional style with contemporary design, Capella offers a unique Singapore holiday location with its South China Sea views and lush courtyards blissfully set apart from the bustle ... of the city centre. Complimentary services at Capella include personal assistant services and flexible check-in/out times, while guests can also access the nearby Sentosa Golf Club. One of the world’s most spectacular resorts, the Marina Bay Sands Hotel is a recognisable fixture of the Singapore skyline, offering unique experiences and memorable hospitality. From its distinctive architecture, which includes one of the world’s highest cantilever platform, to the iconic SkyPark, complete with 57-storey restaurants, swimming pool and ... fitness centre, the Marina Bay Sands Hotel is more than just a resort. Admire stunning views, indulge in luxury and enjoy a vast array of facilities – including a shopping centre, casino and nightclubs – with a stay in one of Asia’s most prestigious postcodes. 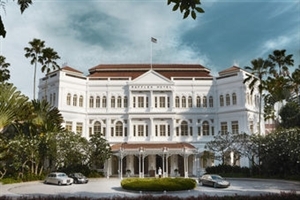 One of the world’s most iconic hotels, few visit Singapore without enjoying a spot of high tea in Raffles Hotel, so there is nothing quite like staying in one of its grand guestrooms or savouring its delectable cuisine. First opened in 1887, Raffles has become synonymous for tradition, which is ... why you’ll find liveried doormen ushering in guests, polished teak verandas, Raffles butlers and the legendary Long Bar, home of the Singapore Sling. 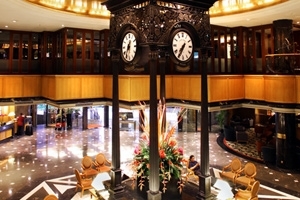 Whether you’re visiting Singapore on business or pleasure, Raffles is the epitome of elegance. Ideally located close to Orchard Road, the financial centre of Raffles Place, Chinatown and alongside Clarke Quay, the Swissôtel Merchant Court offers elegant accommodation in a superb setting. 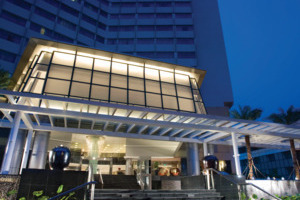 Comprising of 476 guestrooms and suites to appeal to both business travellers and holidaymakers alike, the Swissôtel Merchant Court stands apart with ... its impressive facilities, including a large outdoor swimming area and terrace, while the Amrita Spa will leave you relaxed and refreshed.